CarBrook – Congratulations Carthage Men’s Golf Association! The CarBrook matches were held the weekend of October 13th and 14th this year. The CarBrook matches are a friendly match between the Carthage Men’s Golf Association and the Men of Briarbrook. The teams are determined by qualifying through the respective Club Championships each year. Previous years had the matches being played both days at one site. This year the first day of Four Ball matches were held at Briarbrook and the second day Singles matches were held at Carthage. Next year Carthage will have the Four Ball matches and Briarbrook will have the Singles matches. Our CMGA members participating had a blast. The weather was a little sour but that did not take away from the fun friendly competition had by all. 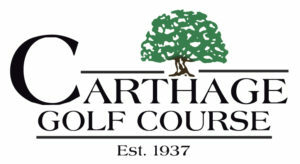 https://www.carthagegolfcourse.com/wp-content/uploads/2018/04/CGC-CMGA.jpg 425 777 Carthage Golf Course https://www.carthagegolfcourse.com/wp-content/uploads/2016/12/Carthage-Golf-Course-logo-300x162.png Carthage Golf Course2018-10-26 13:05:302018-10-26 13:05:30CarBrook - Congratulations Carthage Men's Golf Association! Hailey Bryant Hole in One…9/30/2018…Pretty Cool! Great Season Carthage Girls Golf!